Americans have been brainwashed into disbelieving a fundamental truth about their legal system: Lawsuits actually are good for the country. They aren’t as costly nor as numerous as conventional wisdom holds. And they play a crucial role in keeping in check the greed and harm that business interests otherwise might inflict with impunity. Says who? These are some of the trenchant views newly outlined in a recent magazine cover story by Ralph Nader, one of the nation’s preeminent consumer advocates. It’s true that some partisans sneer at him these days, faulting his attacks on big money politics and blaming his quixotic third-party candidacy for the razor-thin loss by Al Gore 16 years ago. But lest history forget, Nader’s crusading, particularly with auto safety, has resulted in sweeping reforms that have saved tens of thousands of lives; he has saved American consumers countless sums with his battles against rip-offs by banks, insurers, and other big businesses. Those exactly are the types of moneyed interests that he blames for campaigning relentlessly against the civil justice system with alleged tort reforms based on the wrongful notion that Americans suffer from too many lawsuits that cost too much and deal with issues too little. As I’ve written before, “tort reform” is based on false “facts.” The number of injury lawsuits is low (medical malpractice cases are just 3 percent of all tort cases filed), and the payouts don’t amount to much, relatively speaking. Nader notes that studies by respected, independent researchers like those at the RAND Corp. find that fewer than 2 percent of injured Americans ever file a lawsuit. Figures show that roughly $4.1 billion annually is paid out in settlements in medical malpractice and $1 billion product liability cases. That may sound like a lot. 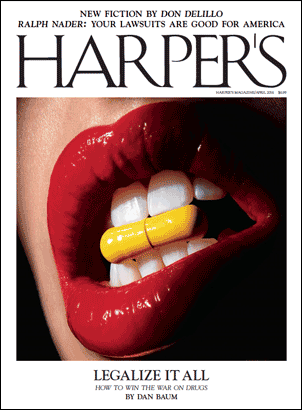 But Nader says keep those sums in context: The Fortune 500 companies reported $12 trillion in annual revenues. Meantime, companies seem to regard any deaths or injuries they inflict just as another “cost of business.” Nader says 60,000 Americans die from workplace-related diseases and trauma. A new study estimates that medical errors rank No. 3 as a cause of death in the United States, claiming more than 250,000 lives annually. He quotes Harvey Rosenfeld, his longtime co-crusader in battles against insurers and other interests, in asking: Why is Big Business so hell-bent on seeking alleged tort reforms, such as enacting caps on lawsuit damages, rather than fixing their systemic and individual wrongs that injure and kill millions of Americans? With doctors, for example, the research has built into a small mountain that a sliver of the profession accounts for the overpowering number of malpractice cases. Errors can occur. But it’s also clear that doctors ought to be eager to get rid of their incompetent, abusive, and downright evil colleagues rather than warring with ways—including malpractice lawsuits—that deal with this care-giving bane. Nader points out that malpractice insurers have raked in huge profits over the years but paid out relatively little. Yet doctors embrace their insurers and hate lawyers. As occurred with car safety reforms, lawsuits not only can protect individual victims, Nader says. They also cast sunlight into industry cover-ups, prompting public outcries, and causing lawmakers to enact measures that save lives. Punitive awards can be a powerful way to discourage wrong-doing, though Nader details, painfully, how suspect “reforms,” for example in California, have undercut this key remedy. He describes a case where a $7.1 million verdict against a doctor was capped at just $250,000 under state law. That meant that a family faced a lifetime of caring for a 2-year-old boy—blinded and brain-damaged by a doctor’s negligence–on a sum that some specialists might pay for a swanky golf club membership. 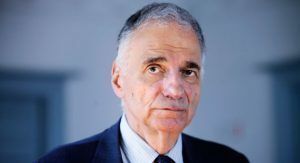 Nader says it is critical for advocates, including lawyers themselves, to speak the truth to protect the victimized, our beneficial system of lawsuits, and against misinformation spread by business interests with unclean hands. Hear, hear. I’m in with him on this cause, especially because I see the justice that litigation can provide to patients who have suffered woefully due to medical malpractice and other wrongs.